Warner Bros Pictures has launched the website for the next Batman movie "The Dark Knight Rises." When you go to it the screen is black and you hear some type of chants. Superherohype was able to figure out what the chants say. According to them the chants say "thefirerises" and it's also a Twitter hashtag #thefirerises. And if you kept tweeting hashtag apparently it fills in an image hidden on the official site which is of actor Tom Hardy as Bane. 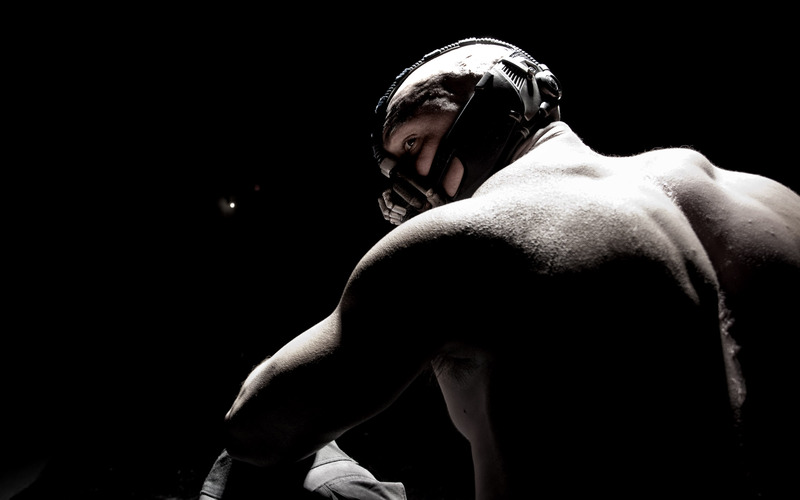 Bane will be one of the villains in the movie along with the Catwoman. Filming is underway and the movie comes out in theaters July 2012.